Just when you thought Miami couldn’t push the boundaries of luxury any more, it did. The Mansions at Acqualina, a 47 story condominium located on the beach in Sunny Isles, released photos of its finished units via Curbed Miami. A movie theatre, wading pools, a cigar room and a video game room are only some of the amenities available to residents. Check out the link below to see all 53 shots of this grand addition to North Miami Beach. Sorry to say, all the units have been sold. No worries! Find something similar in The Miami Luxury Realtor’s listings here. Which Miami Neighborhood Do You Belong In? Want to make the move to Miami, but not sure which neighborhood to call home? If you’re having trouble deciding between Miami Beach and Brickell, then take this quiz put together by our friends at the New Tropic! Find out the neighborhood that’s right for you, then contact Miami’s Luxury Realtor to see what’s available. https://www.themiamiluxuryrealtor.com/wp-content/uploads/2015/08/Miami-Neighborhoods-Question.jpg 681 1500 The Miami Luxury Realtor https://www.themiamiluxuryrealtor.com/wp-content/uploads/2018/06/MLR-Logo-New.png The Miami Luxury Realtor2015-08-26 13:00:532017-03-08 18:08:25Which Miami Neighborhood Do You Belong In? In case you needed one visual reason to make Florida your permanent residence, here are twelve. OnlyInYourState.com lists twelve of the most beautiful, photograph-worthy spots in the state. Guess which town topped the list? You guessed it. Our very own and well-loved Miami and Miami Beach. Enjoy the list, book your flight, grab your camera and check out the latest South Florida listings on themiamiluxuryrealtor.com. It’s getting too hot to wear anything more than a swimsuit, and since this is Miami, it’s only right we make it an actual event. July 15-21 is the Official Miami Swim Week, where models strut their stuff in the latest swimwear fashions from top name designers. 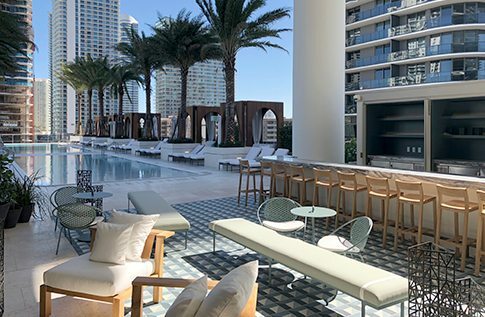 From catwalks to pool parties, and everything in between, Miami celebrates the beach life in style. Check out the official schedule here. https://www.themiamiluxuryrealtor.com/wp-content/uploads/2015/07/sf-miami-swim-week-catwalk-models-pictures-20130717.jpg 1178 1500 The Miami Luxury Realtor https://www.themiamiluxuryrealtor.com/wp-content/uploads/2018/06/MLR-Logo-New.png The Miami Luxury Realtor2015-07-15 10:00:072017-03-08 18:09:03It's Swim Week!